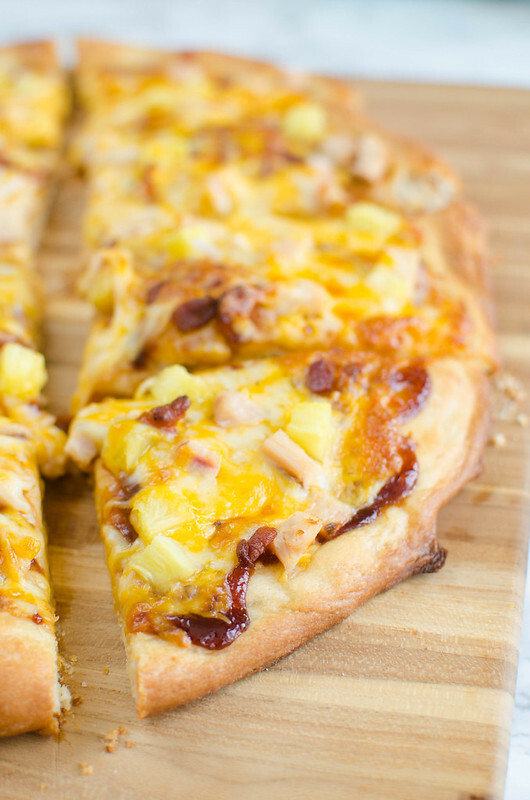 Barbecue Chicken Pizza – a delicious and easy recipe for pizza night! 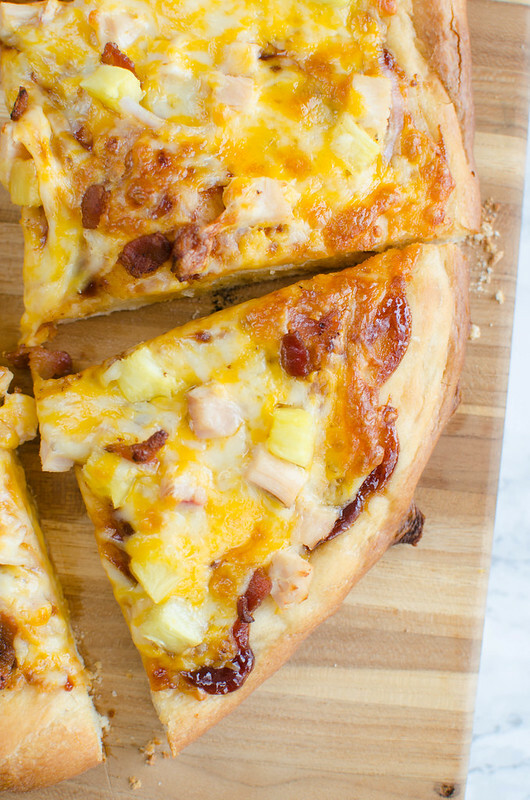 Barbecue sauce, chicken, bacon, pineapple, and red onion layered with colby jack cheese! 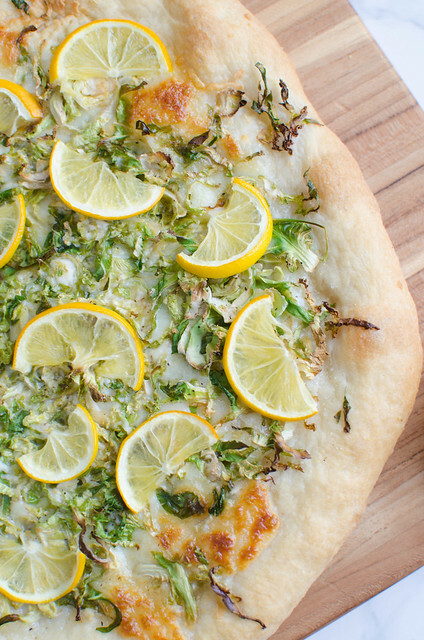 Hi, hello, I sliced a portion of my finger off making this pizza yesterday. I came very close to quitting cooking forever because that was beyond traumatizing. I’ve never cut myself while cooking. Sure, I’ve accidentally grated my thumb on the cheese grater because haven’t we all? But to just slice off some of your finger? If you never see bacon on this blog again, remember this post. Sooooo, what’d you do this week? Did you also freeze because it was ELEVEN DEGREES when you woke up Wednesday morning? I had to go out in that 11 degree weather because I’ve been procrastinating getting a new military ID for months now but my temporary pass to get onto Fort Hood was going to expire the next day. And why have I been using a temp pass since October? When I live on Fort Hood? I don’t know. It just seemed easier. Anyway. This entire situation with the Army has been a total nightmare but I didn’t expect to burst into tears in the ID card place because no one understood that yes, my ex-husband is no longer in the army but yes, I still need an ID card and no, I definitely don’t need power of attorney or a printed memo from his old chain of command. Thankfully a nice man happened to walk by and understood me through my sobs and managed to get my ID done in, like, 3 minutes. And my new picture is SO much better than the last one and that’s all that really matters to me. I made a double batch of my paleo bolognese and baked up 2 giant spaghetti squash. Probably my favorite meal ever. I had it every day this week and twice one day. That’s how much I love it. We Deliver Killeen. Every time I talk about them on IG stories, I get a ton of locals telling me they didn’t know this was a thing so I thought I would mention them. This is a teeny tiny city so we don’t have Postmates or any of the big delivery services – crazy, right? But We Deliver is amazing and they brought me tacos late on a frigid night this week and they bring me pho at least once a week when I’m in work mode and can’t leave the house. They’ll pick up your grocery order, too. And one day I’ll tell you the story about the time both my military ID and my license were expired so I literally couldn’t leave post or I wouldn’t be able to get back to my house and had to have groceries delivered. Ya’ll. I was a total you-know-what show for most of last year. 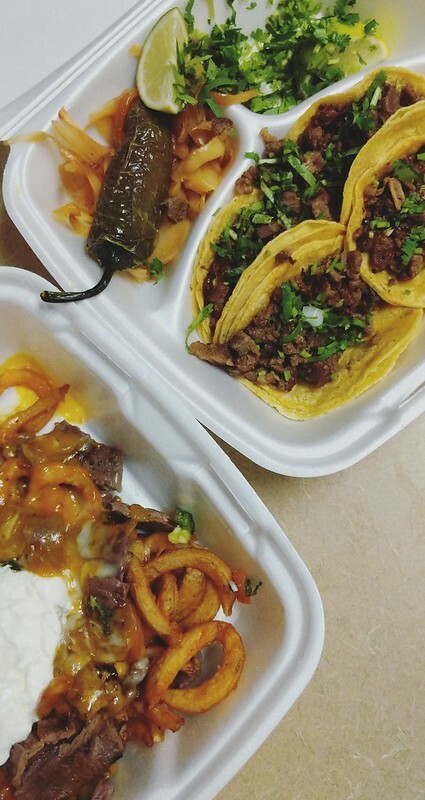 Also, those tacos are from Meno’s and they are my favorite tacos in the city. My alltime favorite podcast is currently doing a series on Jonestown which is my favorite cult (yes, I do say this about every cult) and it’s a fantastic listen. It’s.. umm.. not work or kid friendly and it’s kind of a dark humor podcast but they make me laugh out loud multiple times an episode even when it’s a super dark topic. I also binge listened to Theory of Content this week and if you’re a blogger, you need to do the same. It’s probably the most informative blogging podcast I’ve ever listened to. 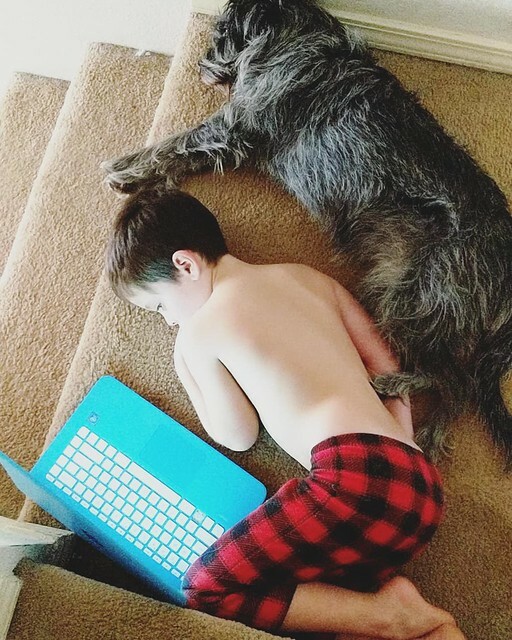 I’ve already made changes to the way I do things around here and I’m usually pretty slow to take blogging advice. Desperate Housewives is my current work background noise. You guys, it’s so good. I’ve watched the entire series probably 5 times and it’s still so good. In my fantasy life, I am Bree Van de Kamp and I just want to go buy a bunch of pastel clothes and flip the ends of my hair out. Finally, I’m addicted to Cotton Candy Bang. And my HEB is forever sold out so everyone else must also be addicted. They have somehow made the most perfect cotton candy flavored drink. Also, zero calorie and filled with caffeine. 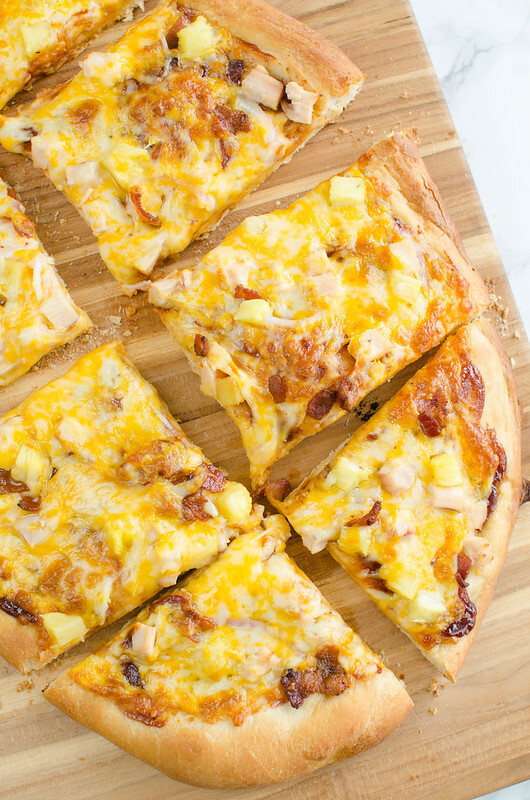 Barbecue Chicken Pizza is my favorite pizza ever and I don’t care about anyone’s opinion about pineapple on pizza because I won’t eat pizza without it. When I order pizza I don’t plan on sharing with my kids, I add jalapenos to the barbecue chicken pizza so it’s sweet and spicy and perfect. You should do that if you don’t plan on feeding this one to your kids. I’m back to using the King Arthur Flour pizza dough recipe but I still can’t get it shaped like a circle or the same thickness through the entire thing. And I always use Red Star Yeast Platinum because it never, ever fails me. If you’re scared of yeast, use that. Also? My best and favorite tip for working with yeast (especially in the cold months) is to put your dough on the counter on top of your running dishwasher for the rise(s). The warmth just helps it along. Preheat oven to 500 with pizza stone inside. Once preheated, let continue to heat for at least 15 more minutes. 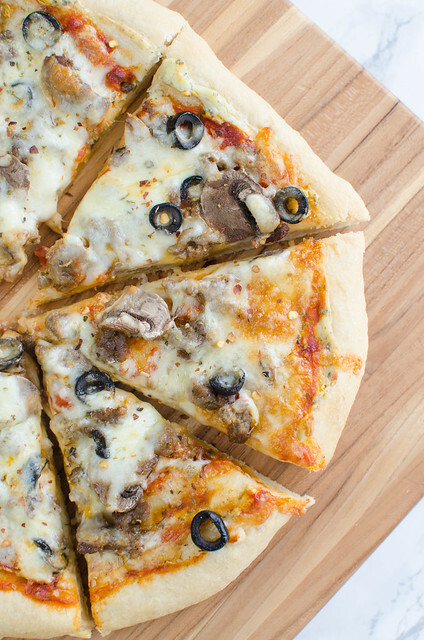 Stretch pizza dough to desired thickness and shape and place on a cornmeal dusted surface. Spread barbecue sauce on dough, leaving about an inch uncovered around the edges. Sprinkle with about half ot the cheese. 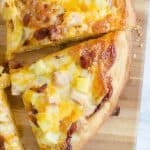 Layer chicken, bacon, pineapple, and onion and sprinkle with the rest of the cheese. Brush uncovered crust with olive oil. Transfer to the hot pizza stone and bake 12 - 14 minutes until crust is golden brown and cheese is melted. Broil for a minute or so if you want that browned cheese look. 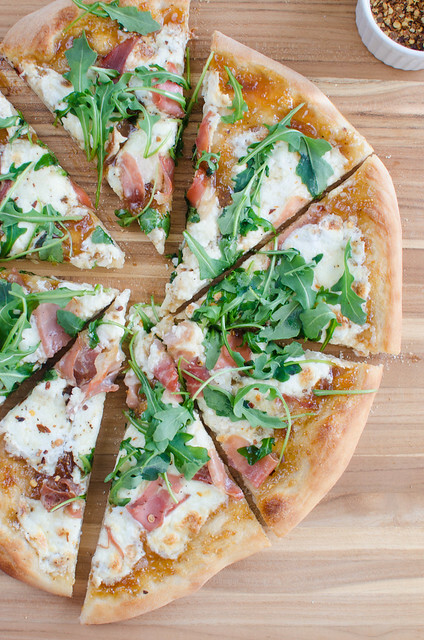 Want more homemade pizza recipes?